Home > Parenting	> Should You Pay Your Child To Mind Siblings? Should You Pay Your Child To Mind Siblings? Finally, at long last, the clouds have parted and the skies have cleared: our oldest of three daughters has reached that elusive babysitting age. She has even taken the Babysitting Course, and displays the certificate proudly. Whoa, not so fast on that last thought. Like so many other parenting expectations, this one has not unfolded as planned. It turns out my enterprising daughter has other ideas. While she is keen to babysit other children for the cash infusion, she is not so keen to babysit her own siblings in return for rent and board. So we have sweetened the pot and caved to her demands for payment; a slippery slope from which there is no return. Did I mention she’s eleven? We’re paying her half what we paid our other babysitters, so there are still savings to this mighty convenient arrangement. And arguably it’s money we would have spent on her eventually – she is using the growing sum of money to buy luxury items for herself that I wouldn’t usually let her buy, but may have caved for in the long run: another hoodie for her extensive collection, songs and shows on iTunes, hairbands and scarves and multiple trinkets that end up displayed on her dresser. A whole world of pink is appearing before my eyes in the chaos of her room, and her desire to mall crawl is spiking. However my siblings were never paid for babysitting – it was just expected, in return for all that my parents did for them. And most people I poll report the same findings – when they babysat younger siblings, it was expected no cash would change hands. It was like setting the table: something you complained about, but did it while mumbling under your breath. I fear we have shot ourselves in the foot on this one, and missed the free-child-care-at-last boat. 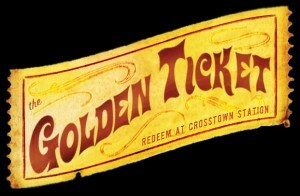 The precedent is now set, my nine year-old daughter only two years away from her golden ticket. Eleven years of paying the piper for a few hours of freedom, how many more to go? Were we wrong to cave in and pay our child for services rendered, or has a new day dawned, where it is perfectly normal and expected to pay your own child? She sounds like quite the businesswoman (businessgirl? businesstween?)! As the middle of five kids, my older sister got the task of supervising us, and- much to her chagrin- was never paid for it. I definitely don’ t think there’s any harm in paying her a small sum for a job well done (so no paycheck if you return home to find the younger kids climbing on the walls and Ms. Babysitter fixing her hair!). If anything, as she enters her teens she will already have a sense of working hard to pay for things she wants and won’t dread taking on an after-school job! My youngest (age 12) just got her babysitting certificate…she’s getting $7/hr. to babysit a 5-year-old autistic boy in our neighbourhood. Sounds like a sweet deal to me! You did well to escape paying your own children – I am weak by comparison! Thanks for that link – a great post with solid information. I stay up at night worrying about the sense of entitlement I witness with children today. Giving children chores and responsibilities can go a long way in avoiding such entitlement. Amen. We need CAN help kids be connected with people of all sorts. Well, I think it’s probably not a bad idea to pay your own child to babysit. However, your daughter must be wonderfully responsible. I don’t know how many 11 year olds could manage that responsibility. So good for you. Eldest children are especially mature for their age. As my eldest approaches babysitting age, I wonder about that very thing. I guess it will depend. If we’re going out for a few hours, then I probably would give him some money. If it’s an odd afternoon after school, probably not. In all truth, my six year old daughter is in some ways more responsible than her big brother. Great blog! So many decisions to make as parents – never ending. And that is my other dilemma that I didn’t explore: my nine-year old does most of the work – so she wants in on the cash too! I’m throwing in the towel, and never going out again. Being the eldest, I babysat my younger sisters countless times without getting paid. I didn’t have any problem with that; in fact, it never crossed my mind to ask for a pay! It simply felt that as the eldest, I need to look after my younger siblings while the parents were away. However, I also don’t think there is anything wrong in paying your child to babysit, specially if your preteen has turned down an opportunity to a paying job (babysitting a neighbor’s kid, for example). It’s also equally important that you sit and talk with her, discussing your expectations from her. And thank you so much for stopping over my blog to read and comment. Have a great week! Wow Im 13 my lil bro is 9 I don’t get paid 😦 and my mum won’t let me babysit for anyone else until I’m 15. Its only for like 1/2 hour at a time though and she wouldn’t have dreamed of letting me babysit even for like 5 minz when I was 10! I just kinda assumed it was something I had to do and we never call it babysitting… I wonder what I could charge my mum *evil laugh*? I guess £1 (about $1.60) an hour might be worth a try but shell probaly just tell me off for being cheeky! My friend Amie gets paid £6 (almost $10) an hour to babysit her cousins they’re 6, 4 and 3 but then there is 3 Of them.